Buying a new headboard can be a simple and cost effective way of giving your bedroom and bed a new lease of life. You can change the total appearance and colour scheme by buying a new headboard. If elegance and class is something you want to add to your room, the Happy Beds Ankara is just the headboard for you. The sculpted top really gives a great sense of luxury. The Ankara headboard is available in two different high quality materials, Suede and Cotton. There are also 23 different colours available so you will be sure to a find a finish to match your bedroom décor, from neutral shades to stand out statement colours. The headboards come with the vertical struts to attach to the divan base; these are adjustable to accommodate different mattress heights. 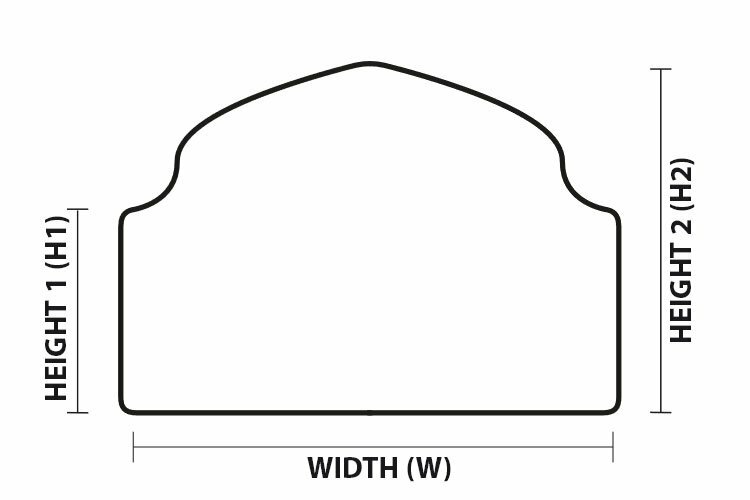 Hi, Could you tell me the depth of the head board? I.e. How much length would this headboard add on to the total length of the divan base for a kingsize. The headboard has a depth of 8-10 cm, depending on the Lined, Buttoned or Plain styles.